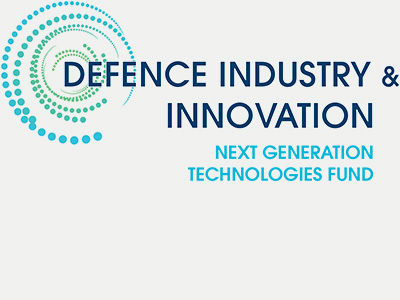 Powered by CSIRO, and delivered in partnership with Defence Science and Technology (DST), ON Prime:Defence gives researchers a unique opportunity to fast-track their science or technology proposition with expert guidance from those who've been there and done it before. You'll be integrated with your local Prime cohort, in your closest capital city hub, as well as invited to attend an exclusive national session, expressly designed for all ON Prime: Defence participants from Primes across the country. All you have to do is indicate that you are a research team working on a Defence technology on the ON application form. At ON Prime:Defence, your team will test paths for your IP, know-how or technology through a process of customer discovery and market validation, to help build entrepreneurial and business model capabilities. You'll ensure you're working on the right problems, targeting the right markets and capitalising on the best opportunities. Like all ON experiences, it's free to participate, and all IP and equity remains the property of the participating team or their sponsoring institute. All ON accelerator experiences are open to teams with at least one research employee from CSIRO, Australian universities or Australia's publicly funded research agencies (PFRA). The research employee may be full time, part-time or a casual employee of a PFRA. Make sure you use your PFRA official email address to apply (we can't accept applications from Gmail, live, etc.). Innovative technologies that have the potential to deliver game-changing capabilities for Australia's national security and defence. Teams working on technologies that address the following priority areas with the potential for dual-use applications in the commercial market are highly encouraged to apply. What does participating in ON Prime:Defence involve? ON Prime: Defence is a part-time experience, with approximately five face-to-face sessions (six days in total) and ten hours' commitment per team member across eight weeks. You will also be invited to attend an exclusive national session, expressly designed for all ON Prime:Defence participants from across the country. In addition to this, each program culminates in a final 'Showcase' event. In addition to this, each program culminates in a final 'Showcase' event. Eligible teams may be invited to apply for ON Accelerate. For complete terms and conditions that govern the ON Prime: Defence please refer to the website. To submit an application to ON Prime: Defence please refer to the website.